I had a great time at the 1994 Deep South Regional Star Gaze, muchachos. Even back then, it was my “home” star party and a sentimental favorite. ‘94 was also the first time I attended the event with my lovely new wife, Miss Dorothy, following our marriage barely two months previous. Yes, it was a memorable year, but not for the observing. The lousy weather saw to that. 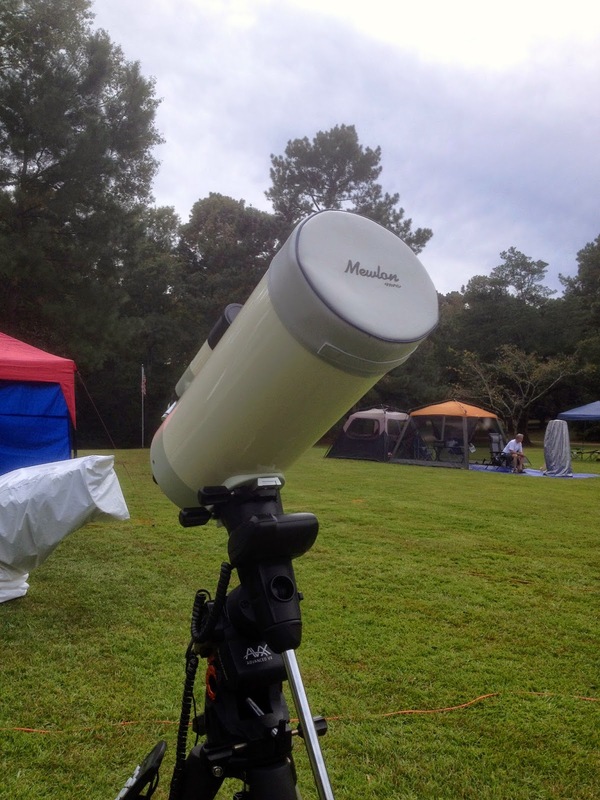 I did see some nice things at Dorothy’s first star party, including the Phantom Galaxy, M74. In fact, I got one of the best views I’ve ever had of that object that year. But something had long bothered me about 1994: the thick observing list that had sat on Chaos Manor South’s bookshelves for 20 fraking years. ‘94 was the year I was introduced to my first observing planning program, or at least proto observing planning program, David Chandler’s MS-DOS masterpiece, Deep Space 3D. The program is long gone for all intents and purposes, never having made the transition to Windows, but the list it helped me put together for that long ago star party has lingered on. Late this past summer, as the date for the 2014 edition of “Deep South” approached, I began to think about what I’d observe at the event. I wanted to do something special on this, D’s 20th DSRSG anniversary. While I’m currently mostly an imager, video and DSLR, I thought visual might be more like it this time. Maybe with Old Betsy, my 12-inch Dobbie, whose first star party was, like Dorothy’s, DSRSG ’94. What if I took it a step further? What if I didn't just use the same scope (albeit mostly rebuilt)? What if I finally ran that fat observing list? I still had it following our move; I’d found an honored spot for it on a shelf in Unk’s office in the New Manse. I pulled it down and had a look. Not-so-old Unk sure was sanguine about observing back then. 327 dadgum objects of all types, including galaxies down to freaking magnitude 15 plus. Even dimmer quasars. 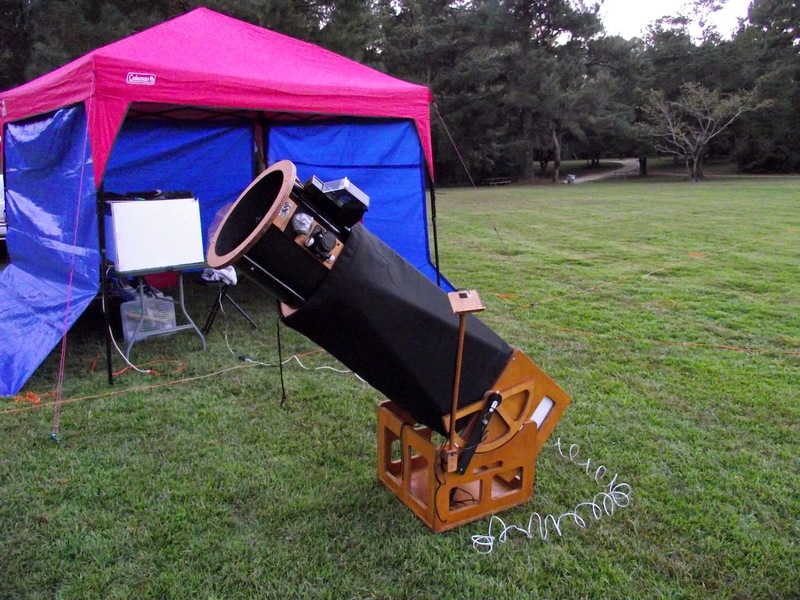 Maybe I overestimated what a 12-inch—the largest scope I’d ever owned—could do from damp Mississippi skies (in them days, the event was held at Percy Quin State Park near McComb, Mississippi). Or maybe I just wanted to make sure I had enough objects to see me through three nights of deep sky heaven. Or maybe it was so easy make an observing list with DS3D that I got a mite carried away. To no good purpose, it turned out, since the weather shut me down before I could move beyond the bright and easy. Over 300 objects, many of them dim and hard, seemed like a lot to Unk, even though Betsy has a Sky Commander digital setting circles computer now, and my eyepieces, Ethoses, are way better than what I had in ‘94. I sat down and began whittling away objects. Before I could whittle anything away, of course, I had to get the objects into a modern computer program. Could have used the exemplary Deep Sky Planner, but since I had the equally good SkyTools 3 open at the time, I used it. In an hour or thereabouts, the old list was reborn in ST3 format. Now for the pruning. First to go were the more mundane objects I’ve logged over the intervening years. I did leave the oft-observed showpieces in, however. I also cut off most of the galaxies at just a smidge over magnitude 14. Dumped all the quasars (!). Finally, I trashed any open clusters I suspected were too large and/or sparse to look good—easy enough to check via SkyTools powerful interactive atlas. When I was done, I was left with a manageable list of 100 DSOs. The list would be manageable if the weather cooperated, that was. As our departure date, 22 October, approached, it dang sure looked like it would. Wednesday would be dead clear. Some clouds Thursday, perhaps. More good sky Friday. Saturday, too. Frankly, I began to wonder whether 100 objects would be enough, even if I gave those that deserved it plenty of eyepiece time. Anyhoo, almost before silly old Unk knew it, it was the Tuesday afternoon before the star party, and time to load up the truck. As y’all well know, I hate packing on star party morning, and in recent years have been doing that the evening before. 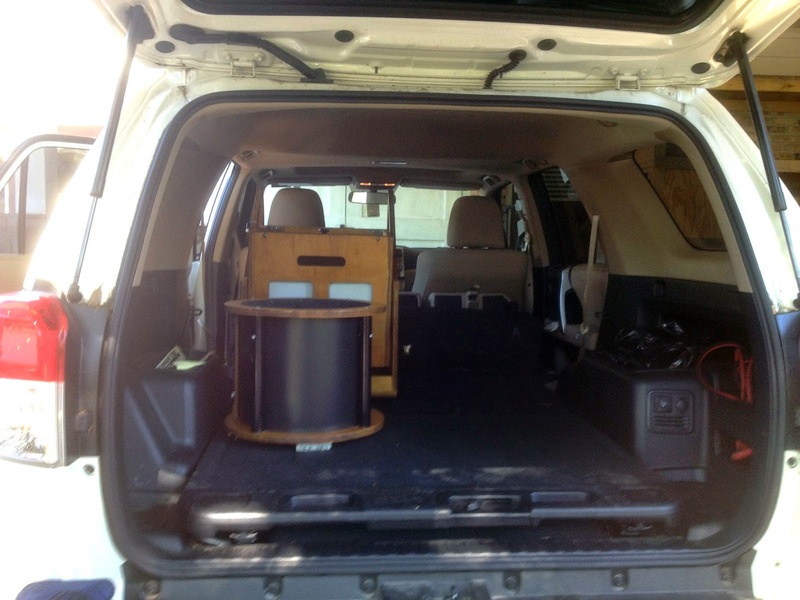 While I’ve loaded our vee-hickle, Miss Lucille Van Pelt, a Toyota 4Runner, for many a star party now, I took no chances and used a CHECKLIST in hopes of not forgetting anything (I always do, anyway, of course). One thing was sure: getting truss tube Betsy in the 4Runner sure was a lot easier than getting Sonotube Betsy into my fraking Hyundai Excel on that Thursday morning in 1994 (in the early days, DSRSG was a Thursday – Sunday affair). Tuesday night was spent doing a last review of my observing list, checking the dagnabbed Weather Channel one more time to make sure the forecast hadn’t changed (it hadn’t), and watching my fave new TV program, The Flash, with the aid of mucho Rebel Yell. I headed for bed shortly after nine to get plenty of rest. 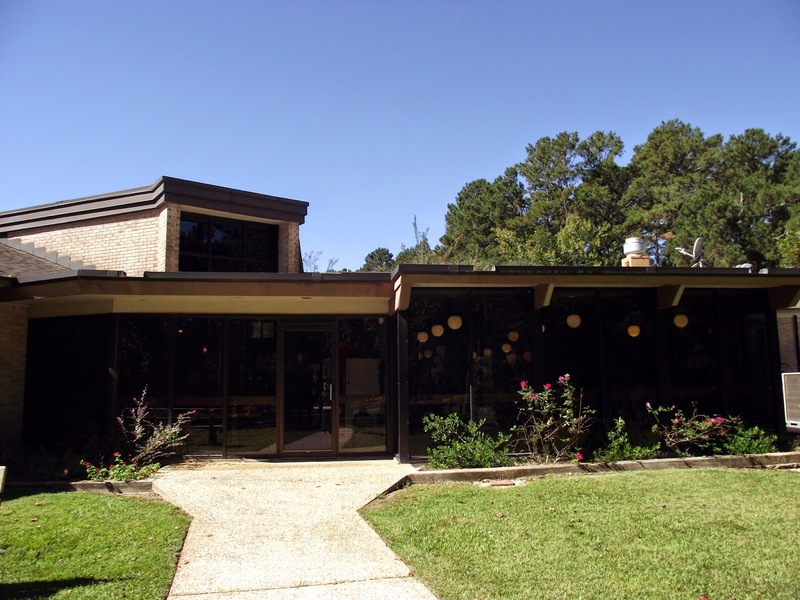 The drive to the Feliciana Retreat Center near Norwood, Louisiana where the star party is now held is just three hours, but there’d be unpacking and set up. And, I hoped, a long night under the stars Wednesday evening. Unk was up early the next morning with only a little prompting from Dorothy. Dressed, I took care of the cats' needs for the four days we’d be gone, and we were out the door at eight in the a.m. Naturally, we stopped at the Schillinger's Road Mickey D’s for Unk’s traditional fried chicken biscuit; wouldn't be a propitious start to a star party without that. 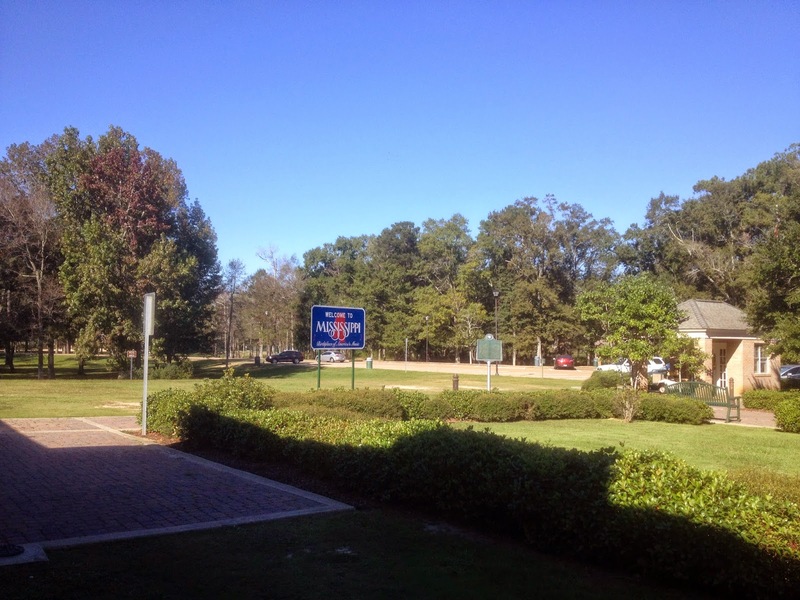 Newlyweds Unk and D. enjoyed their journey to Deep South twenty years ago, and there is no doubt the route was more scenic then, down old Highway 98, through Hattiesburg, and into the piney woods of Mississippi. Now, it’s 1-10 to 1-12, I-12 to I-55, and a few miles of Louisiana state and county roads. Not as purty, but easier—there are not as many opportunities to get stuck behind Old MacDonald and his tractor on narrow country lanes. 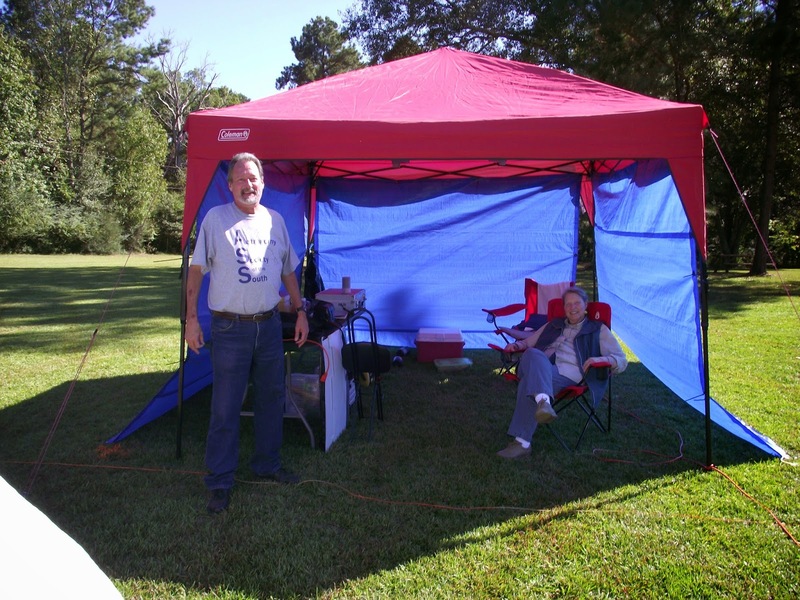 There is also no denying the Feliciana Retreat Center is a better place for a star party today than Percy Quin State Park would be. Most fatally for that nice park, the light pollution dome from McComb is now large and intrusive, far more prominent than it was two decades ago. Yes, Percy Quin had nice air-conditioned group cabins, but FRC has nicer small motel-style rooms in a modern Lodge. You got hot meals as the state park, but the food at FRC is much better—if maybe not as mucho bettero as it used to be, as we shall see. Rolling onto the observing field, our first stop, several things were evident: the FRC was still well-maintained despite the financial malaise it’s been suffering over the past year, the weather was just as beautiful as predicted—clear as a bell and in the mid-70s—and there would be a good turnout for the event this year. Despite the demands of jobs and kids and other mundane things, there were plenty of folks onsite at midweek; one whole side of the expansive field had already filled up. Dorothy and I located a nice spot in one of the corners of the marked-off field. A space near a big shade tree to the south that would provide some relief from the Sun, but which would not cause too much sky-blockage heartburn. Our location was also close enough to the field power outlets, the “power tree,” that I could reach it with one long extension cord. I don’t need AC for Betsy, but it would be nice to be able run the laptop with it and leave the inverter and jump start batteries in the truck. Tell y’all the truth, since I was going visual, set up was not a whole lot different from 1994. I had to bolt Old Betsy’s upper cage and truss poles to her mirror box rather than just plunk her Sonotube in the rocker box, but otherwise it was mostly the same: tailgating canopy (a much nicer one than our old tarp and ropes job), observing table, couple of camp chairs, ice chest, eyepiece box, and a few odds and ends. 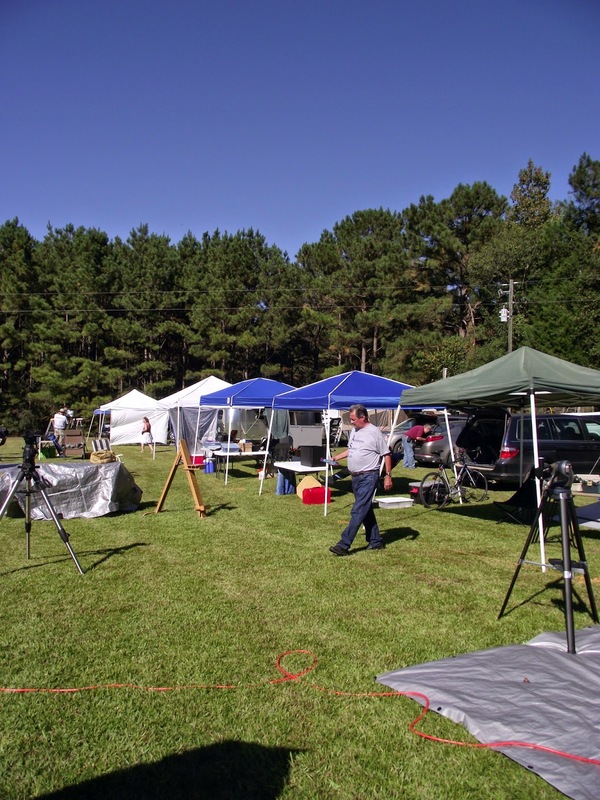 The major difference, of course, was that our camp/observing table was twice the size of our old card table. Had to be to accommodate the 17-inch Toshiba laptop. Nostalgia is fine, y’all, but I ain’t a-going back to squinting at cotton-picking Sky Atlas 2000. Set up, we hung on the field for a little while talking to our buddies and, in my case, admiring Frank’s recently purchased Takahashi Mewlon 180, which he had on his VX mount. Not every Mewlon I’ve looked through has had exquisite optics—though it turned out that Frank’s did—but every one of them has been a thing of beauty nevertheless. Next stop was the Lodge to get settled in our little room, East 1. There was good and bad. The good was that in an effort to pull themselves out of the financial doldrums, I reckon, the FRC folks had been working on the Lodge rooms, painting, repairing, and disposing of the badly time-worn furnishings. Unfortunately, that meant our room did not have a desk. There were no drawers for our clothes and no place to put the laptop (the FRC has had very good wi-fi speed the last couple of years). I was told new desks had been ordered but had not yet arrived; this year we’d just have to make do. Dorothy and I spent the time remaining before our first meal—supper was at 4 p.m. each day—visiting the vendor who set up in FRC’s nice facility, Barton Hall. This sizable auditorium is just off the field, and is also perfect for star party talks. This year's seller was Astrogizmos, and that was a good thing. I can almost always find something I need/have forgotten on Jeff’s tables. I will rarely buy something like an Ethos eyepiece at a star party, but I will buy the sort of stuff Astrogizmos stocks, like red lights, batteries, etc. This year I got a pack of chemical hand warmers (the one thing I’d forgot), and a nice little red LED table lantern. Then it was suppertime. Which turned out to be a minor disappointment—the meals were the only down-check I gave the FRC this year. Traditionally, Wednesday is grilled chicken night, nice big hunks of chicken. This time? Lasagna. Not bad, but not much of it, with the server giving each of us one serving spoonful. Tasted purty good, and with the rest of the chow, which included the FRC’s still good salad bar, the meal was enough. But just barely. The same maintained at the other meals. Breakfast was good biscuits or (small) pancakes and adequate sausage or bacon, but just about the tiniest serving of eggs I have ever seen on a plate. 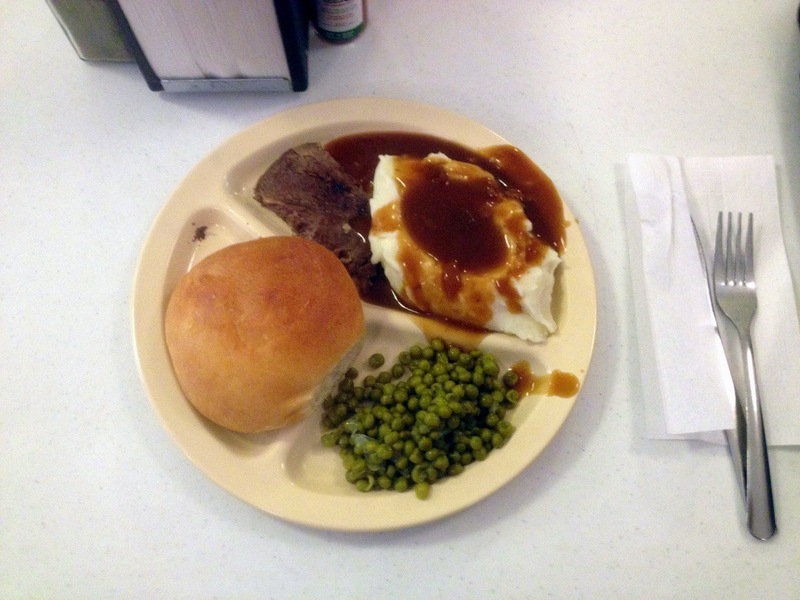 I looked forward to supper Thursday, the Center’s legendary pot roast and mashed taters and gravy. It was still tasty, if not maybe quite as well prepared as in the spring, but I got half a small serving. The brisket that has been a treat on Saturday nights? Gone. Instead, we had frozen hamburger patties on untoasted buns. There was still desert, but it was not set out for us to serve ourselves. One of the FRC staff went around the tables dispensing small portions. I understand the need to economize, but I am not sure doing so in such noticeable fashion is a good idea. Especially since meals are such a big deal at FRC, there not being much else to do during daylight hours. Nevertheless, the food is still better than what you get at most star parties. If they can at least keep it at the level it is at now, and maybe, just maybe, give you two spoonfuls of eggs in the morning, I reckon it will be OK. I was right glad I’d made a run on Wally World Tuesday for Jack Links and granola bars, though. Food is a relatively minor part of the star party experience; observing is the main thing. Following a nap back in the room, I trotted to the field and got ready to go. 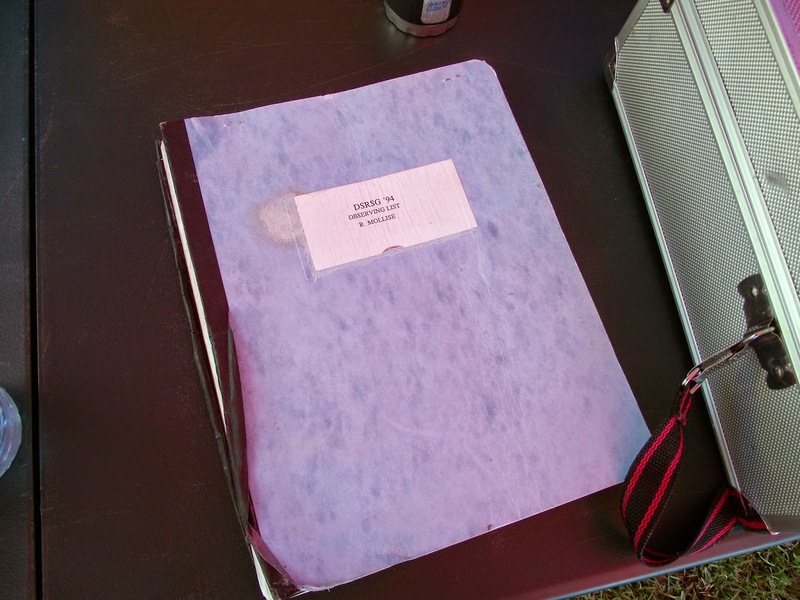 That consisted of removing Bets’ AstroSystems cover, plugging her Sky Commanders into the encoders, and connecting the Commanders to the laptop. I don’t always run Betsy from a laptop, but I would on this night. Some of the objects on the list, particularly some of the open clusters (Kings, Czerniks, etc. ), were not in the Sky Commanders’ library. When dark came, I aligned the DSCs on two stars, Polaris and Fomalhaut, and essayed my traditional first night look at M13. Brought up the Messier list in SkyTools’ RealTime tab, highlighted M13, mashed the “push to” button, and the program intoned in her Audrey (Betsy) voice, “Push telescope to target!” SkyTools sends the object to the Sky Commanders, so all I had to do was push the scope until the numbers on the DSC display zeroed out. In the 16mm 100-degree Happy Hand Grenade (Zhumell) eyepiece, the Great Globular was bright and rich despite it not being quite dark yet and despite somewhat high humidity. In went the 13mm Ethos, which also turned up the nearby galaxy, NGC 6207 looking surprisingly big and bold. I should have pumped up the power and looked for M13’s other “companion” galaxy, IC 4617, but I forgot to do so. I was champing at the bit and ready to get the list started. It was time to work my 20-year-old list, and I worked it with a will beginning with the Veil Nebula. With my 35mm Panoptic eyepiece and Thousand Oaks OIII filter, the view was good enough to nearly blow me off my feet. Both the Bridal Veil (east loop) and Witch’s Broom (west loop) halves were as bright and detailed as I’d ever seen them. Even more amazing, the patch of nebulosity between the two, Pickering’s Triangle, was almost as prominent as the more oft-observed portions. This may have been the best look I have had at the Veil complex from anywhere other than the Texas Star Party. What were the other hits Wednesday? Probably Pegasus’ NGC 7331 and Stephan’s Quintet. I attempted to duplicate my stupendous 1994 view of M74 first, but ‘twas not to be. The spiral structure was there, but not slam-you-in-the-face there. I figgered the humidity was just a mite too high, and resolved to try the Phantom again on the other nights. The trick is not seeing NGC 7331, the Deer Lick Galaxy; at magnitude 10.2, it’s bright as galaxies go. The challenge is seeing detail, particularly the galaxy’s prominent sweeping spiral arm and, most of all, the four little NGC galaxies that lie just to the east. The arm was easy the second I put my eye to the 8mm Ethos. The small galaxies, the “deer” clustered around the salt lick of NGC 7331? Not quite as easy. While small, the dimmest, NGC 7336, is (supposedly) at magnitude 15.6. Under poor conditions, even the brightest one, magnitude 14.5 NGC 7340, can be hard for a 12-inch. Not on this night. A little staring and all four popped out. Well, hell, if the Deer Lick was easy, how about Stephan’s Quintet? I can almost always pick up this group of five galaxies, which lies just 30’ to the south of NGC 7331, but sometimes all I can do with a 12-inch is pick it up—see the combined light of the galaxies as a spread-out haze. Again, tonight was different. I wouldn’t call the galaxies, which are clustered in an area a mere 4.5’ across, easy, but they were doable. As individuals. And so it went from astronomical twilight at 7:30 till break time at midnight, when I stopped, changed the 9-volt battery that powers the DewGuard heater on Betsy’s secondary mirror, and trotted off to use the little astronomers' room in Barton Hall. Back on the field, I downed a Monster Energy Drink and went back to work. It was on the damp and chilly side now, but when the flesh began to feel weak, I’d duck under the cover and enjoy my Black Cat catalytic heater. Despite one side of our tarp-enclosed canopy being open to the elements, it was decidedly warmer underneath it. As all things eventually do, however, enough finally became too much. Shortly after 2:30 a.m., I had to admit that heater or no, breaks or no, Monsters or no, I was cold and tired. No shame in that. Set Up Day is always a long one, and a quick look at the ST3 display showed I’d covered a lot of ground—to the tune of nearly 70 objects. I was able to do that many largely because, despite my pruning, many of the open clusters on the list, especially in Cassiopeia, were pedestrian in the extreme and didn’t warrant much eyepiece time. I threw the big switch, which consisted of replacing the eyepieces in their box, turning off the Sky Commanders, returning the laptop to its case, turning off the DewGuard, covering Bets, and walking the ¼-mile back to the Lodge. As I rounded the bend in the gravel road and entered the clearing in the area of the Lodge, what should greet me rising in the east but Orion. DOH! I could hardly believe I'd forgot to look at M42! I'd just been too wrapped up in that consarned list. Back in the room, I wet my whistle with some sarsaparilla and enjoyed a replay of a World Series game on the Youtube. Not that I watched the whole thing; long before it was over, I was off to Slumberland. I don’t know how I did it, y’all, but somehow, some way, I was up in time for breakfast at nine in the stinking a.m. Said breakfast consisted of, as above, a bare taste of scrambled eggs, but plenty of everything else. I was reasonably happy with my breakfast, in fact. I was not at all happy with the sky when I poked my head outside. Ground truth? Thursday morning 2014 was looking a lot like Thursday morning 1994. Hot. Sticky. Plenty of those despicable gray fluffy things sailing across the sky. Would we get anything Thursday night? I wasn’t sure. I'd just have to wait and see over the course of a long, slow day. The afternoon was spent in much the same way it had been in 1994. Talking to our buddies. Admiring their scopes. Sitting under the canopy semi-reading and semi-dozing. At least we didn't have to face set up under hot, humid conditions (which attract the area's biting no-see-ums) like we did in ’94. Sunset came right on schedule and with it more clouds. What else came with sunset? A partial solar eclipse. Unk and his mates were nearly caught with our rompers down around our varicose veins late Thursday afternoon when we suddenly realized the eclipse would begin shortly. We barely had time to hotfoot it to the small FRC lake, which offered the most promising western horizon. Despite clouds and pine trees, we got a glimpse of the eclipse, both with Barry Simon’s filtered Zeiss copy-scope and with a pair of “eclipse glasses,” before Sol sank behind the tree line and more clouds poured in. Amazingly, there was some clearing at astronomical twilight, and I got in maybe an hour total of on-again/off-again observing Thursday night. I worked the remaining open clusters in Cassiopeia until we were well and truly socked in again at nine. I stuck it out for another hour, decided nothing was gonna change any time soon, covered Bets, and headed to the Lodge. There, I had a look at the weather resources on the Internet. ‘Peared we would be cloud free at 2 a.m. Should I set an alarm? Maybe just sit in the Lodge watching the Three Stooges DVD marathon that was in progress? I reckoned not. Friday, day three, was another long one. It’s one thing to be down at the pea-picking Chiefland Astronomy Village where you can hop in the truck and head for Cedar Key. It is quite another to be at the FRC, where the biggest attraction is the Bill’s Dollar Store in Clinton, a dozen miles away. I spent most of the afternoon reading a book, a pulp, Doc Smith’s SF classic, Triplanetary (I am currently on a 1930s pulp magazine jag). Other than Monster Energy Drinks, the best star party accessory I’ve discovered lately is a Nook (or a Kindle). One of the original electronic ink versions, especially, which work perfectly on a sunny star party field. Dorothy and I somehow made it through the interminable day, which had been resolutely sunny—it had indeed cleared about 2 a.m., I was told—and I got set for a long night. I was within about 20 objects of finishing what I was now calling the “DSRSG Anniversary List,” but what remained was some dadgummed hard ones that would take some time, including a passel of 14th magnitude galaxies in Lyra (yes, Skeezix, there are plenty of galaxies in Lyra). Before girding my loins for the real dim, however, I went after The North America Nebula, NGC 7000. The previous year, it had been outstanding in Miss Dorothy’s wide field 4-inch f/6.5 refractor. The 12-inch couldn’t match the smaller scope’s field, but I hoped the combo of the OIII filter and my time-honored 35mm Panoptic eyepiece would show me something. After the fun of NGC 7000 and company, it was time for work. Not just those little galaxies in Lyra, but a few more admittedly boring open clusters in Cassiopeia and elsewhere. The high point of the second half of the evening was probably the Cocoon Nebula, IC 5146, in Cygnus. This little cloud is notoriously dim, but showed up—if barely—in the Happy Hand Grenade and a Lumicon UHC filter (the very same one I’d purchased at PSSG ’02), which seemed to do a better job than an OIII. Once again, Unk's poor old bones were beginning to feel the chill, and our warm Lodge room began to sound better and better. But I was most assuredly not going to bed before M42 was up high enough to bother with. When it was, I looked long and lovingly at the marvel. I couldn't decide whether it was better in the 35mm Panoptic or the 13mm Ethos, so I kept switching eyepieces and drinking in the photons. Not only was the cloud exceptionally detailed, it had the strong greenish cast it assumes on the best nights. It was not long after two when I covered Betsy. I find that at my advanced age, I just can’t go as long doing visual observing as when I am warm and dry under a canopy looking at a monitor all night. Oh, I try to use my observing chair as much as I can to save my feet, but by midnight the cold and damp have usually got to me. Besides, I had an excuse this time: the DSRSG Anniversary List was done. Which was nice, but also a problem. What the hell would I look at Saturday night? I ruminated on that on my way back to the Lodge. I thought about it while watching a replay of Game Two of the Series. I considered it as I was eating breakfast. And then, muchachos, the solution came. The light went on. I would look at—whoops, y’all. We are slap out of time and space for this Sunday; tune in next week to find out what your old Uncle did with a spectacular star party Saturday night. Nota Bene: You can see many more pictures from DSRSG 2014 on Unk’s Facebook page. Nice entry today Rod. I could feel the cold and dampness of those late night observing runs as I read it! Good cliffhanger at the end also! You mentioned Astrogizmos. I recently purchased and set up one of their Astrogazer domes. I'm really pleased with it. A very well designed observatory. It wasn't too difficult Rod. When I looked at all of the parts the first time I was a little worried. It took two of us just over two hours the first time. It would get much faster with practice. It's really roomy inside. I built a wood base for it and we'll see how it handles a Canadian winter!